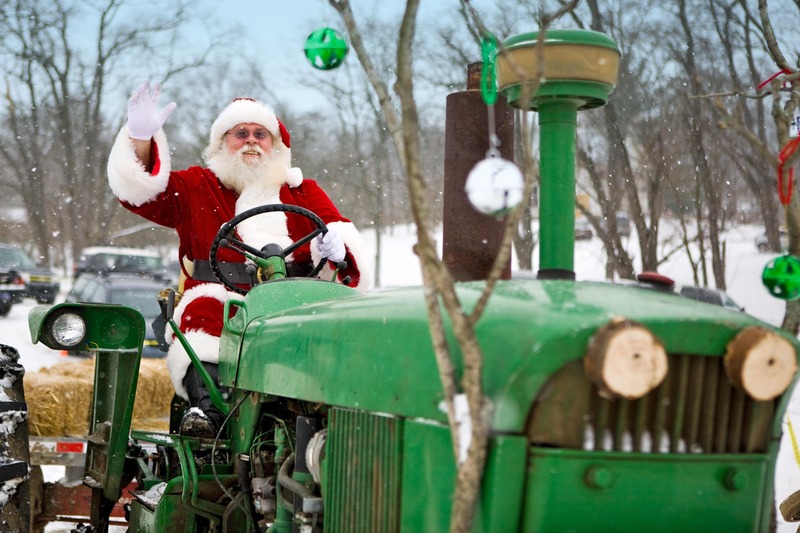 Celebrate the sights, sounds, and spirit of "Christmas on the Farm" at Traders Point Creamery! Visit Santa in the Red Barn and share your list! Sing along with live Holiday Music and make Christmas Crafts. Take in the beauty of the farm on a Sleigh-Hayride, then treat yourself to our organic Eggnog, Hot Chocolate, and a festive menu at the Jingle Bell Cafe. Tickets are sold for 90-minute time slots and grant ticket holders access to all the activities above during their reserved time. Food & Drinks available for additional charge. $15 per person + processing fees. Children under 1 are free.TICKETS REQUIRED FOR ALL ATTENDEES (except those under 1 year old) & AVAILABLE ONLY BY ONLINE ADVANCE PURCHASE. Guests can also choose to dine at The Loft Restaurant for a special Holiday Brunch, served from 9am - 2:30pm. Separate reservations required by calling (317) 733-1700, ext. 110.